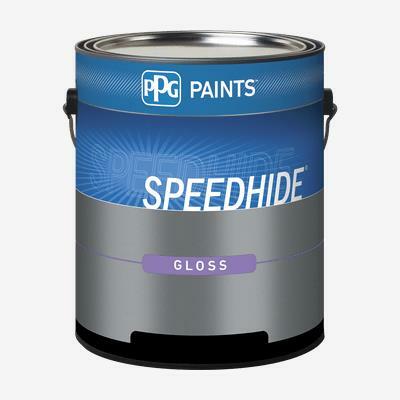 SPEEDHIDE® Interior/Exterior Urethane Modified Gloss Oil is our best gloss alkyd, formulated to meet the performance requirements of the commercial markets. Its alkyd technology provides a tough, durable finish on hard-use surfaces that require high gloss finishes, like trim work, kitchen and bathroom walls, lawn and porch furniture, machinery, garden equipment, and floors. It has excellent flow and leveling, adhesion and scrubbability.